Louisville, KY - The humming is constant; a low-pitched drone from 155 miles of conveyor belts racing packages in every direction. Boxes shift from one belt to another and bump into a metal wall. Thud. Thud. Thud. In the background, trucks beep and jet engines roar. As more gift-givers shop online, there are more packages to ship. Online sales now account for 10 percent of all shopping and 15 percent during the holidays, according to research firm Forrester. That leaves FedEx and UPS with a combined 947 million packages to deliver between Black Friday and Christmas Eve — up 8 percent from last holiday season’s forecasts. For UPS, the key to getting all those last-second orders delivered on time is Worldport, a massive sorting facility located between the Louisville airport’s two main runways. 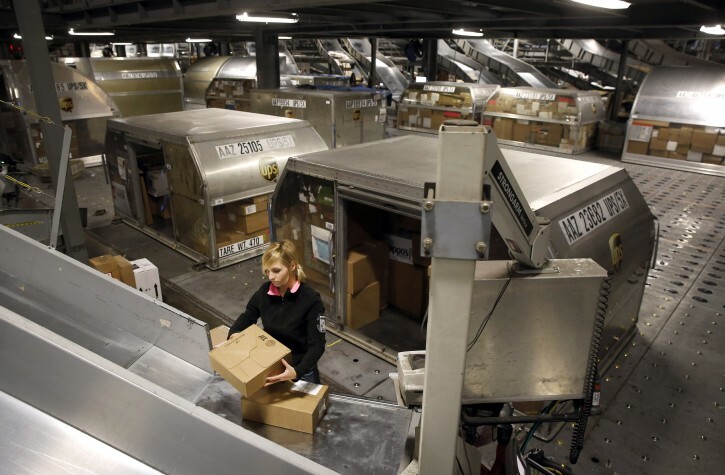 On a typical night, 1.6 million packages pass through. Just before Christmas, there can be 4 million, peaking on Monday night. 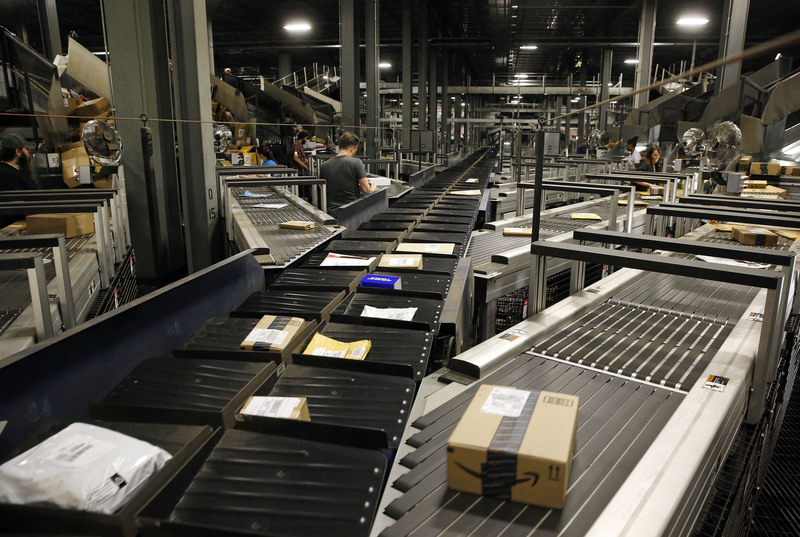 In 2013, they underestimated American’s growing fervor for online shopping. Throw in bad weather, and deliveries backed up. Some gifts didn’t arrive in time for Christmas. UPS and Fedex spent heavily last year to ensure better performance, but still had some major hiccups. Staples, Toys ‘R Us, Best Buy, Crate & Barrel, J.C. Penney and Kohl’s were among the retailers who missed delivery to at least one part of the country, according to industry tracking firm StellaService. “In many cases customers are receiving the packages earlier than promised as we are advancing deliveries to make sure the network remains ready for any spikes as last-minute Christmas shipping approaches,” says Mangeot. At first glance, Kentucky doesn’t seem like the epicenter of holiday shipping. And when you are rushing packages overnight, that proximity to the country’s largest cities matters. 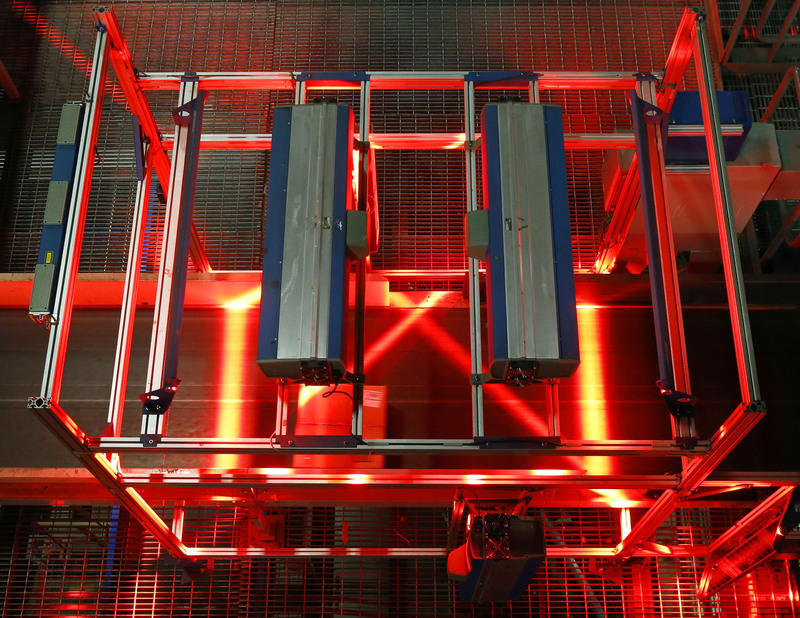 Next, the packages go onto conveyers where red lasers scan labels and then the system automatically sorts the boxes and directs them to new shipping containers. 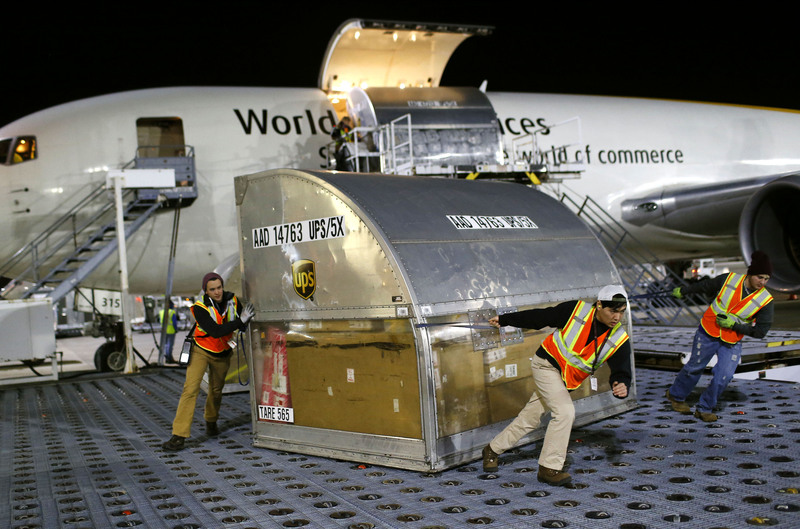 UPS has 38,000 such containers and they typically hold about 400 packages. Workers load them back up and then drag the heavy containers across a floor of rollers back onto various planes that head out around the globe. Remind me again how is this news for the Jewish world? I sell on eBay. I don't use Fed ex, or UPS. I do have to give credit to USPS. Ba'h they did a fantastic job this year delivering packages! I'm more that pleased. That said, sales were down this year from last year. I don't think the economy is doing as well as ppl say it is. The bulk of my purchases this year were the cheaper things. The expensive stuff is still sitting there. Many of the chevra who frequent this site are involved in some sort of commerce which in one way or another is affected by shipping. If even just one Yid benefits from knowledge of the capacity and/or possibilities of UPS, it might be worthy of posting it on this site. I would guess you're not involved in this type of commerce, but you're most likely affected by it as a consumer. Take ur phone into tag to block vous iz neious it's obviously on the black list for u.
at least I know how my majour reducted holiday shopping is getting to me. usps actually delivered to me on sunday and rang my bell. Would you rather be reading about some new instance of Chillul Hashem by our community? The rest of us look to VIN to keep us in touch with what is going on in the world. It might be political race, a tsunami somewhere, or even a sporting event that you don't care about. In this case, it was a story about how modernization and competition has created the possibility to move an incredible amount of goods in an incredible amount of time. Maybe it can inspire us all to be a little bit more incredible. “ usps actually delivered to me on sunday and rang my bell. This is their standard practice around this time of the year. Since they have so many more packages to deliver, unless signature is required, they will just drop it off and leave (maybe ring the bell, but not wait until you show up).